NEW YORK (TheStreet) -- Shares of Anadarko Petroleum Corp. (APC - Get Report) are up by 5.02% to $39.12 late Friday afternoon, as oil prices increase today. 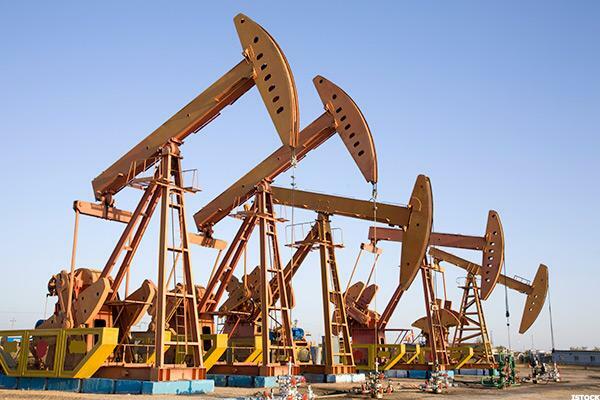 Crude oil (WTI) is gaining by 1.44% to $33.70 per barrel this afternoon and Brent crude is higher by 2.48% to $34.73 per barrel, according to the CNBC.com index. The price of the commodity is rising today on hopes that a deal between major exporters to reduce output could ease the global glut, Reuters reports. This week, Russia said it could work with OPEC members on lowering production, which it has declined to do for 15 years. "If OPEC proposes to Russia production limits that do not undermine Russia's long-term objectives, and key Russian producers back the deal, Russia may indeed agree to production limits," analysts from ESAI Energy said, according to Reuters. Anadarko Petroleum is an independent exploration and production company headquartered in The Woodlands, TX. This is driven by multiple weaknesses, which should have a greater impact than any strengths, and could make it more difficult for investors to achieve positive results compared to most of the stocks covered by the team. The company's weaknesses can be seen in multiple areas, such as its deteriorating net income, disappointing return on equity, poor profit margins, weak operating cash flow and generally high debt management risk.